"Ball 1-1/16 inch standard pinball Bulk Pack " has been added to your cart. Industry standard case hardened carbon steel 1-1/16 inch (27mm) diameter, 80 gram pinball. Used on all contemporary commercial pinball machines built after 1950. Exceeds factory specifications for hardness, roundness, weight. A rusty, scratched, or pitted ball will quickly ruin your playfield. 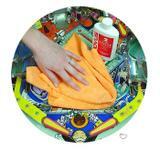 Replacing your old ball and regular playfield cleaning is the best defense against playfield wear. Also available in a custom storage container. 5-pack tube. Great quality ball at a fantastic price. 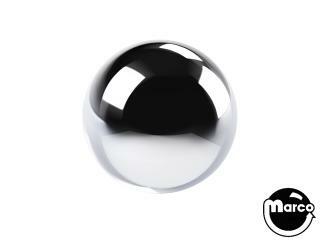 Much better finish than your standard balls, or even the balls shipping in new Stern machines.